John was born in Invercargill on 14 May 1884, fifth son of Richard (1837-1912) and Elizabeth (nee Webb, 1855-1924) Blackham. He was one of 11 children, three who had died in infancy and are mentioned on the family grave in the Eastern Cemetery, Invercargill. At the time of his birth, his father was farming at Wrey’s Bush, Invercargill, and later the family moved to Dee Street, Invercargill, where his father was a hotel keeper. After his education at the Middle School, Invercargill, he was apprenticed to P.H. Vickery, Motor & Cycle Agents, Tay Street, Invercargill. 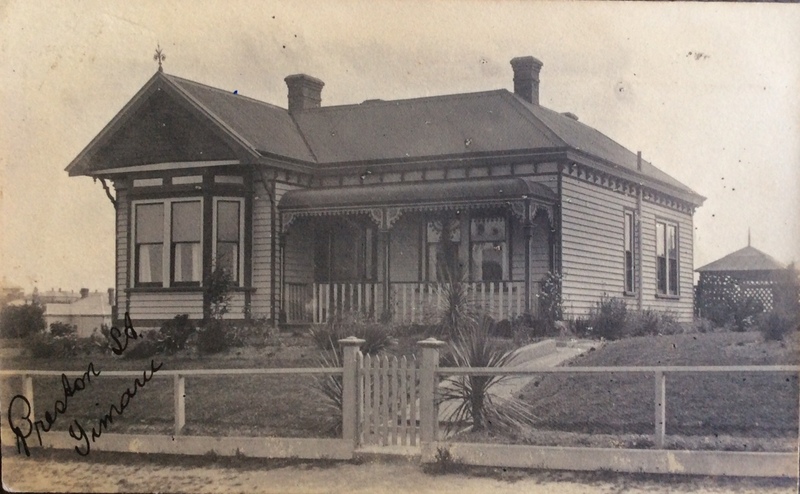 After his father’s death, the family moved to 26 Preston Street, Timaru. John enlisted on 13 October 1915, and at the time he was aged 31, single, living at home, and employed by Brehaut Brothers, Cycle & Motor Dealers, Timaru. He was described as being 5 foot 4 ¾ inches in height, Anglican, weighing 143 lbs, chest measuring 34 ½ - 37 ½ inches, of fair complexion, grey eyes, brown hair and having good teeth. He nominated his mother as his next of kin. After initial training, he left from Wellington on 5 February 1916, for Suez, Egypt, with the 3rd Battalion, C Company, NZ Rifle Brigade, aboard the Ulimaroa, Mokoia or Navua, arriving at Alexandria on 13 March 1916. After a short period in Egypt, he left aboard the Alaunia, from Alexandria for France, on 7 April 1916. In the summer of 1916 he did a short course training as a pigeon handler before returning to the trenches on the Somme. On 15 September his battalion was part of the Battle of Flers-Courcelette, their task being to capture Flers. On this day John received gunshot wounds to his left thigh and right shoulder and was admitted to the Main Dressing Station. He was transferred to No 9 General Hospital, Rouen, on 21 September, evacuated from there on 23 September aboard a hospital ship for England and admitted to No 1 NZ General Hospital Brockenhurst on 24 September. On 26 September 1916 he died from multiple gunshot wounds and tetanus, and was buried the next day in the Brockenhurst (St Nicholas) Churchyard Plot A, Row 5, Grave 9. After the war ended, his mother was forwarded a scroll and plaque recognising his service and his British War Medal and Victory Medals were forwarded to his executors, Radford Heney Broderick, Bank Manager, Invercargill. John had written his will in his Pay Book, leaving all his possessions to his siblings, Sarah, Siss, Lizzie, Willie, George and Harry. John is commemorated on the Timaru War Memorial, at St Mary’s Anglican Church, Timaru, the family grave at the Eastern Cemetery, Invercargill (Block 4, Plot 139) and the Invercargill War Memorial. Three of John’s brothers also served overseas - 34808 Pte William Blackham served with the Otago Infantry Regiment as a farrier in England, 82298 Pte Harry Blackham served in France with 2 NZ (Area) Employment Company and 12729 BQMS George Thomas Blackham served in France with the NZ Field Artillery.